It’s almost crunch time for Australia’s bid for a seat on the UN Security Council for the first time in 27 years. After a $25 million campaign which lasted several years and some recent lobbying by PM Gillard , the seats will be decided around mid-October. Australia must get the votes of 129 countries, two-thirds of UN members, and beat out one of Finland and Luxembourg. Many of the contributions to the debate discuss in broader terms what the potential benefits for Australia might be  while others focus on what happens if we lose . And there are naysayers (here  and here ) who think that we shouldn’t bother at all because the UN is a toothless tiger. We don’t agree. We think there are at least five areas Australia’s expertise and experience could be genuinely beneficial. Collectively these areas represent an ambitious agenda for important issues Australia might champion if we do win a Security Council seat. It’s not simply a case of claiming that it’s our turn—Australia has major strengths and specific experience, particularly on issues relating to the region, to bring to the table. Of course one of the risks, as Danielle Cave argues , is that we have redirected energy towards the UN bid at the cost of our region. But we would argue that the longer term gains of our seat at the UNSC, coupled with better funding at DFAT, would mitigate these short term risks. 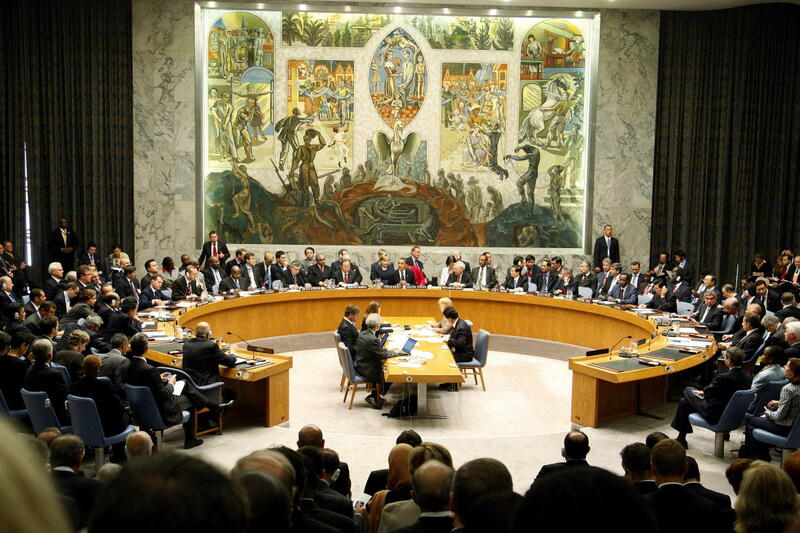 Winning a Security Council seat may well be cause for a rethink of staff cuts in DFAT. Looking after Australia’s interests, and those of our region, will require real effort, not just big talk from Canberra. Peter Jennings  is executive director and Anthony Bergin  is deputy director of the Australian Strategic Policy Institute. Image courtesy of Flickr user United Nations Photo .